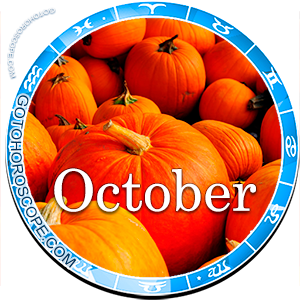 October 2016 Horoscope Gemini, free Monthly Horoscope for October 2016 and Gemini Astrology Forecast for the month ahead. 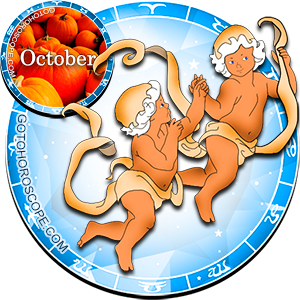 As a matter of fact, the second month of the fall, October of 2016, can be fatal for the zodiac sign Gemini, alas, in the most negative sense of this word. And although at the moment those devastating events represent only a potential risk, it makes sense to think about them now, because, firstly, he who is forewarned is forearmed, and secondly, there is no such danger that would be impossible to avoid, considering you're aware of it in advance. The fact is that at this stage Saturn, which traditionally plays the role of the exaltation planet for your sign, will not just give up its positions, but will turn into your worst opponent; on top of that, it will be backed up by Jupiter and Venus, responsible for the "expulsion" and "fall" of Geminis respectively. As a result, only Mercury will side with you and it will not appear to be as strong as you'd like, though, you can't but agree that in a critical situation any ally is better than no allies at all, even if it has limited powers. Unfortunately, this is exactly the case when the absence of a "heavenly leader" has a particularly detrimental effect on the representatives of a certain trine. But under no circumstances should you lose heart and give up, because inaction clearly won't help you and will only bring the trouble, which is far from being inevitable, closer to you. You'll need to put in a lot of effort in order to achieve the desired result, and take into account some of the nuances. In particular, in the working direction in October of 2016, Geminis will have to stoically withstand the attack of the circumstances, the most diverse in nature and dynamics, but similar in one way - it will be clearly negative circumstances, directed specifically against you. If you run your own business, you can be sure that the whole blame is on your enemies, direct competitors and, respectively, opponents. This means that you will have to take the most drastic measures, (preferably) in the first days of the month. You must act quickly and efficiently, but rather "sparingly", so that your energy and resources are not wasted in vain. It will be a relatively protracted war, and you will need to "hold on" at least until the second decade of the month. If you withstand it, you will quickly realize that your opponents will start gradually losing their ground, and, on the whole, those who show resilience and patience are usually the winners in such situations. If you are not working for yourself, you should try to be almost fanatically resourceful and take initiative. But your initiative shouldn't be aimed at "pleasing" your management, to be more exact, at those projects that appeal to your management, but at real moments that are vital, as you suppose, for your company. Such an approach will help you minimize the possible losses, overcome this difficult stage and still retain your positions and resources. With regard to the sensory and emotional areas, October of 2016 is unlikely to seem at least a little easier and simpler for you. Geminis will have to go through a "rough patch" here, but in this case the greatest negativity will come from your "rear areas", that is, from your "significant other", or (if you are single), from your family. Be especially careful and try to spend as little time as possible around them, but at the same time your constant absence shouldn't be the cause of their irritation. It will be especially good if your loved ones will "send" you somewhere "for a walk" (though make sure they "send" you there without trying to get rid of you). Fortunately, your friends will stand by you and during this month you will suddenly feel all the benefits of true friendship. You will receive an invaluable experience, which will come in handy in your life again and again. As far as the relations with your "soulmate" are concerned, by no means let them have "the last say". Stay strong, and, if necessary, raise your voice, but at the same time watch your words. After all, you should resolve the conflicts instead of inflaming them. This horoscope is soooo true for this month. I always reread the horoscope towards the end of the month to see how accurate it is. Well it is 10/26 and it's been very accurate in my case. Im in the third decant and my love life has been on the rocks most of this month. The rest of my life lines up pretty well too. Not the most positive month for me. Hope the rest of you Gems had a positive month! Spot on. Good advice, to keep my chin up and be initiatively-resourceful. 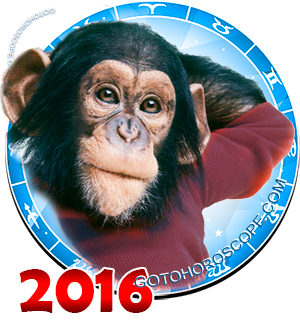 This is a super low period in my life as this Fire Monkey year has been full of sweeping changes. But I soldier on, thankfully supported by family and close friends. The person who wrote this has a very bad life. I hope things improve for them. In the meantime...watch out all Geminis everywhere. Sounds like someone is out to eliminate those born under the sign of Gemini. What an absolutely nonsensical forecast. What a really horrible horoscope for Gemini, that is such a terrible forecast, I can't believe an astrologer would write like that. All predictions are negative. Why not just say you will have a miserable october? Please don't take my bro to counciling ? Then I have to play the game with my neighbour .